At IndiaFilings, we take pride in the services delivered by us and guarantee your satisfaction with our services and support. We constantly improve and strive to deliver the best accounting, financial or secretarial services through the internet. However, in case you are not satisfied with our services, please contact us immediately and we will correct the situation, provide a refund or offer credit that can be used for future IndiaFilings orders. If you're not satisfied with the service, simply login to iCFO Portal and create a ticket for the engagement to initiate the refund process. All help tickets are reviewed by members of the Senior Management and personally responded within 24-48 hours. When a payment of fee is made to IndiaFilings, the fees paid in advance is retained by IndiaFilings in a client account. IndiaFilings will earn the fees upon working on a client's matter. During an engagement, IndiaFilings earns fee at different rates and different times depending on the completion of various milestones (e.g. providing client portal access, assigning relationship manager, obtaining DIN, Filing of forms, etc.,). Refund cannot be provided for earned fee because resources and man hours spent on delivering the service are non-returnable in nature. Further, we can't refund or credit any money paid to government entities, such as filing fees or taxes, or to other third parties with a role in processing your order. Under any circumstance, IndiaFilings shall be liable to refund only upto the fee paid by the client. Refund request can be initiated through iCFO Platform after signing in. To request a refund, please request a refund in the concerned chat room to the relevant engagement manager. All refund requests must be made within 60 days of purchase. Refund request over 60 days will not be accepted and only credit will be provided for completion of service / change of service. We will complete processing your refund request within 4 to 5 weeks of receiving all the information required for processing refund like reason for refund, bank details for processing request, etc. If you want to change the service you ordered for a different one, you must request this change of service within 60 days of purchase. The purchase price of the original service, less any earned fee and money paid to government entities, such as filing fees or taxes, or to other third parties with a role in processing your order, will be credited to your IndiaFilings account. You can use the balance credit for any other IndiaFilings service. IndiaFilings has a standard pricing policy wherein no additional service fee is requested under any circumstance. However, the standard pricing policy is not applicable for an increase in the total fee paid by the client to IndiaFilings due to increase in government fee or fee incurred by the client for completion of legal documentation or re-filing of forms with the government due to rejection or resubmission. IndiaFilings is not responsible or liable for any other cost incurred by the client related to the completion of the service. We cannot guarantee the results or outcome of your particular procedure. For instance, the government may reject a trademark application for legal reasons beyond the scope of IndiaFilings service. In some cases, a government backlog or problems with the government platforms (e.g. MCA website, Income Tax website, FSSAI website) can lead to long delays before your process is complete. Similarly, IndiaFilings does not guarantee the results or outcomes of the services rendered by our Associates on Nearest.Expert platform, who are not employed by IndiaFilings. Problems like these are beyond our control and are not covered by this guarantee or eligible for refund. Hence, delay in processing of your file by the Government cannot be a reason for refund. IndiaFilings shall not be considered in breach of its Satisfaction Guarantee policy or default under any terms of service, and shall not be liable to the Client for any cessation, interruption, or delay in the performance of its obligations by reason of earthquake, flood, fire, storm, lightning, drought, landslide, hurricane, cyclone, typhoon, tornado, natural disaster, act of God or the public enemy, epidemic, famine or plague, action of a court or public authority, change in law, explosion, war, terrorism, armed conflict, labor strike, lockout, boycott or similar event beyond our reasonable control, whether foreseen or unforeseen (each a "Force Majeure Event"). 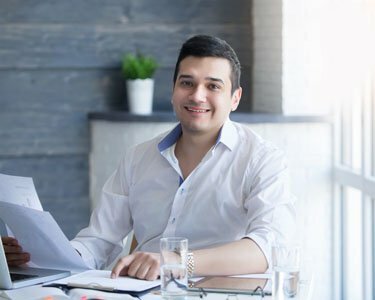 Since we're incurring costs and dedicating time, manpower, technology resources and effort to your service or document preparation, our guarantee only covers satisfaction issues caused by IndiaFilings - not changes to your situation or your state of mind. In case you require us to hold the processing of a service, we will hold the fee paid on your account until you are ready to commence the service. Before processing any refund, we reserve the right to make best effort to complete the service. In case, you are not satisfied with the service, a cancellation fee of 20% + earned fee + fee paid to government would be applicable. In case of change of service, the cancellation fee would not be applicable.